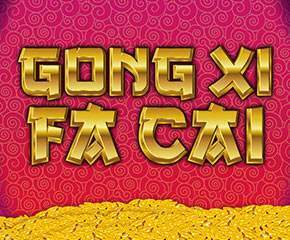 Gong Xi Fa Cai is a Chinese New Year themed slot game from International Gaming Technology. It is a highly volatile slot game with some huge wins. But that’s not surprising as it is just like a Chinese New Year festivity. Which is big, larger than life and packs quite a punch. The jackpot is one of the biggest ever offered in a slot game and stands at a cool 8 million dollars. Also, the free spins are another thing to look forward to. IGT or International Gaming Technology is a Las Vegas, Nevada based games developer that predominantly develops and operates slot games. Some of their most popular slots include Da Vince Diamonds, Cleopatra etc. Gong Xi Fa Cai slots is a 5 reels and 50 paylines game. The slot is a highly volatile one and is a dream for those players who love action packed, adrenaline pumping slot games with huge stakes on the line. The theme of the Chinese New Year is very well incorporated. The symbols are all different things that you would get to see in a New Year festival. There is the Koi Carp that gives a payout of 125x, then there is Dragon Piñata which is worth a 100x, a Phoenix with a payout of 200x, the dragon with a huge payout rate of 500x and finally the wild symbol which trumps all with a massive payout of 600x for landing 5 of it on the reels. The major attraction of Gong Xi Fa Cai slots though is the jackpot round which is of 4 different levels. The level of jackpot at which you get a shot at is randomly decided. Once the round is triggered, you get to pick 3 red envelopes to reveal gems inside them. If the colour of all the gems matches, you have your jackpot. It also has a free spins round which is triggered by landing on 3 or more of the scatter symbols on the 1, 3 and 5 reels. Here the number of free spins you get is decided on random. 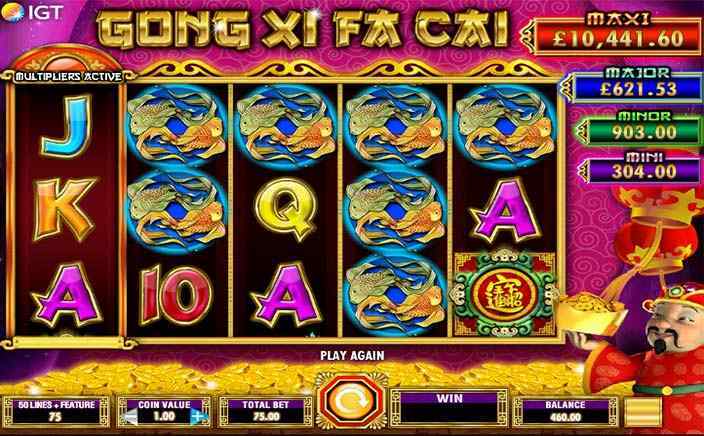 Gong Xi Fa Cai slots is quite easily one of the most fun slot games yet from IGT. But this is not a slot for all types of players due to its high volatility. Play this slots game if you do not worry much about your wallet.